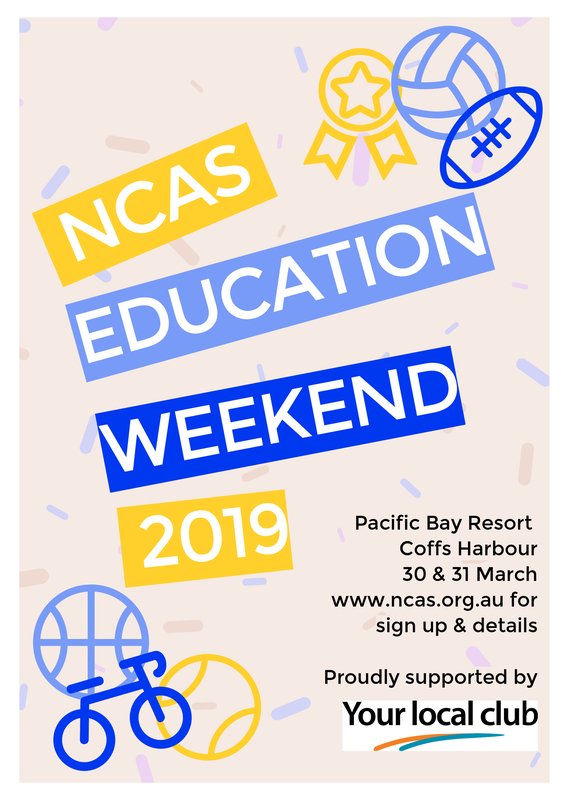 The Academy is very proud to present to you the 2019 Your Local Club NCAS Education Weekend. Conducted at Pacific Bay Resort Coffs Harbour, the weekend will run from Saturday 30th to Sunday 31st March 2019. It is expected that over 200 athletes, coaches and parents will participate. As Major Partner, the club industry has committed $250,000 a year for three years towards the program, which will provide a best practice health and wellbeing program to young people across the state. Parents and guardians are also strongly invited to attend any of the weekend sessions which will again be at no extra cost. The 2019 Your Local Club NCAS Education Weekend will involve a two days of quality up-to-date information and practical sessions, presented by experienced professionals relevant to our regional athletes’ and coaches’ needs. The Academy is currently finalising format and delivery. We anticipate that attendees will need to be at the Pacific Bay Resort by 10.00am on the Saturday – finishing around 4.00pm and 9.00am on the Sunday finishing around midday. The Sports Education Program is a compulsory event on the athlete’s scholarship program and an exemption will only be provided for those reasons stated in the Athletes Agreement. Attending coaches will improve their coaching skills and knowledge. We look forward to sharing this program with you.